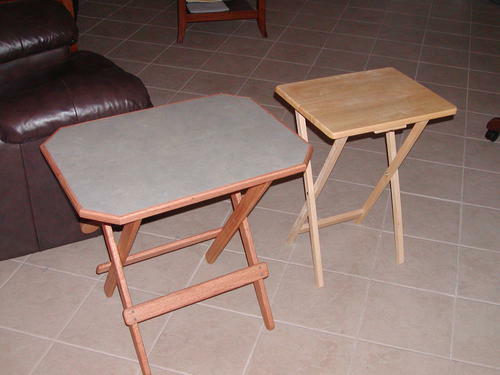 I have always disliked the small unstable, fold-up, finger-eating TV tables. A friend showed me one his father had built back in the 60's and I was able to copy it for the most part and I made a couple of improvements. Made of oak with a Formica top and linseed oil finish. This is quite strong, stable, large enough to play cards on and it will not get knocked over accidentally. It incorporates a clever, yet simple folding mechanism and has its own carry handle. The legs and support arms are of the same cross section 1-3/4" x 3/4". The four legs are 29" long and the four support arms are 16" long. 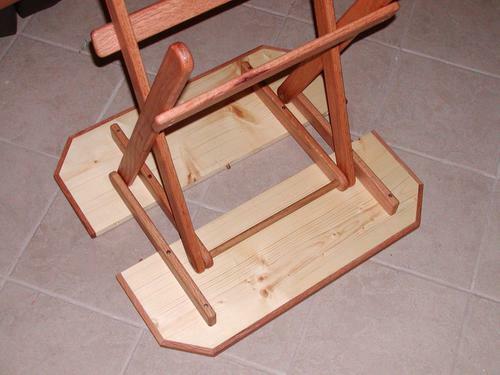 The four legs and the four support arms are drilled the same, all with 5/8" holes. 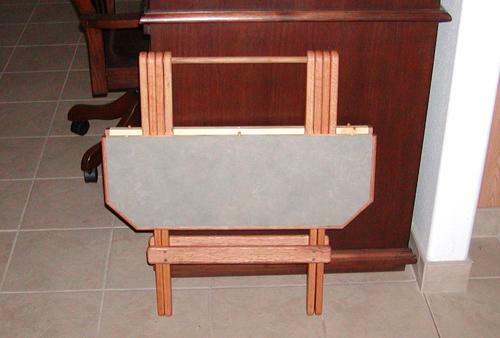 The support arms are drilled for attachment to the table top as shown. 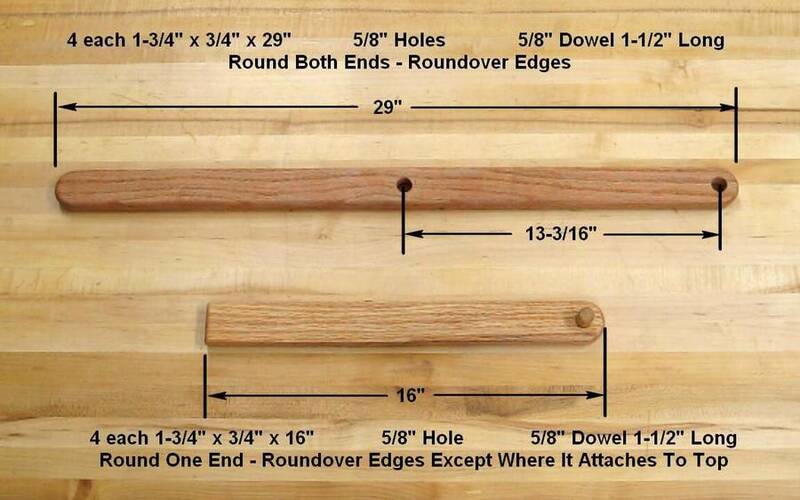 Four 5/8" dowels 1-1/2" long and one 5/8" dowel 16" long are required. Round both ends of the legs and the drilled end of the support arms. 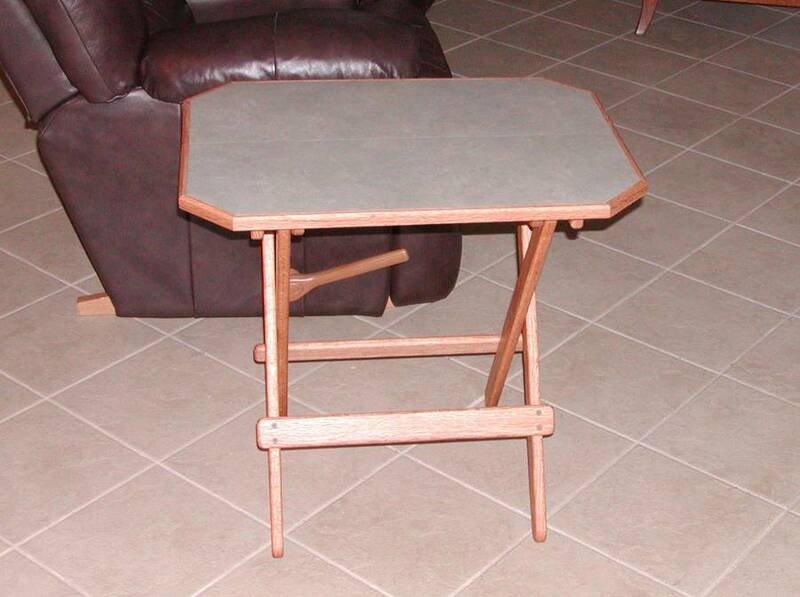 Round over the edges except where the support arms mate with the tabletop halves. The two spreaders are 2" x 5/8" x 19". Holes are drilled in these for attachment to the legs. 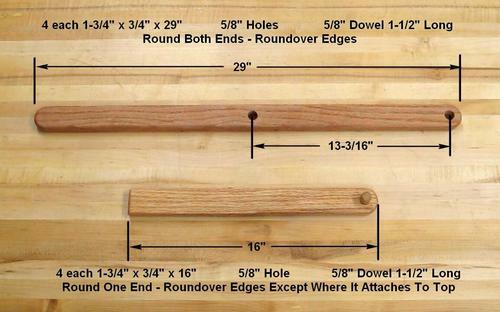 Each is drilled as shown in the photo. Round the corners and round over the edges. 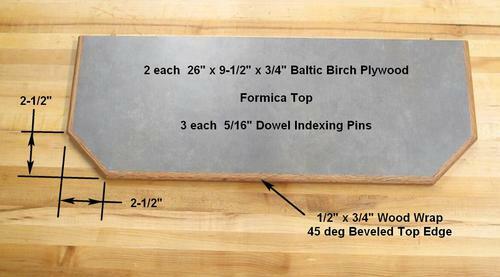 I used 3/4" pine for the top and covered it with Formica. Baltic Birch would be better. I edge drilled the contacting edges for three 5/16" indexing dowels, which keep the two table top halves from sliding back & forth. That makes the table much sturdier and it doesn't wiggle around like the original. 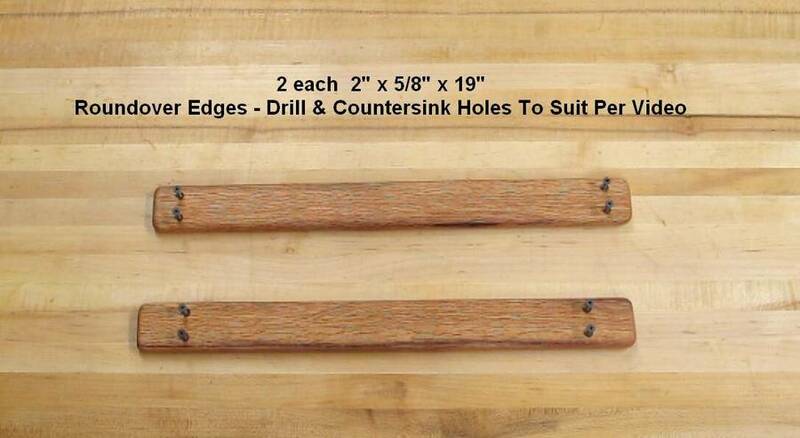 Cut the corners off as shown and add oak to the outside edges. 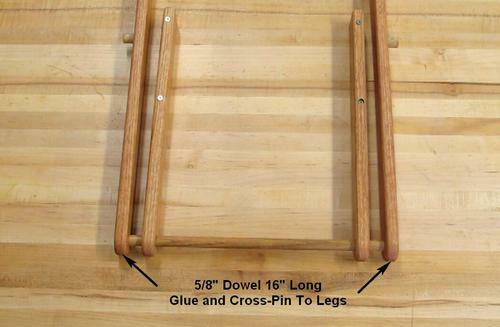 Glue the short dowels in place per the attached photos. Each pair of legs and support arms is assembled differently. 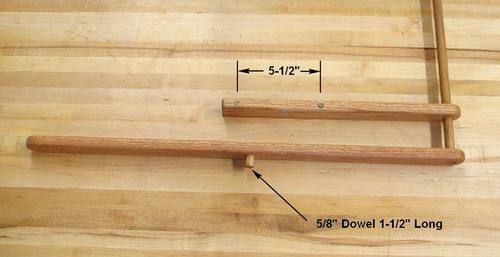 The 16" long dowel spreader (handle) is only glued to the inside legs. The support arms are free to pivot on the 16" long dowel spreader. 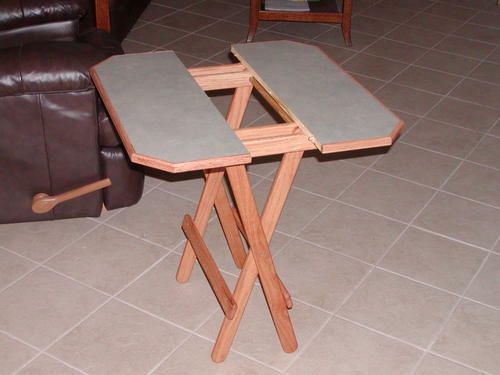 Attach the two spreaders to the legs and the support arms to the tabletop as shown. I predrilled the holes and used drywall screws. Grind the points off the screws for the tabletop. It gives better grip for the screws and they won't poke through the Formica as easily. 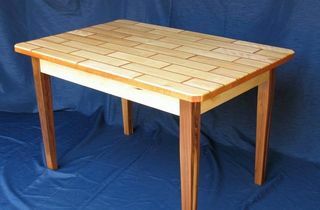 I varnished the oak edges of the tabletop and used linseed oil everywhere else. 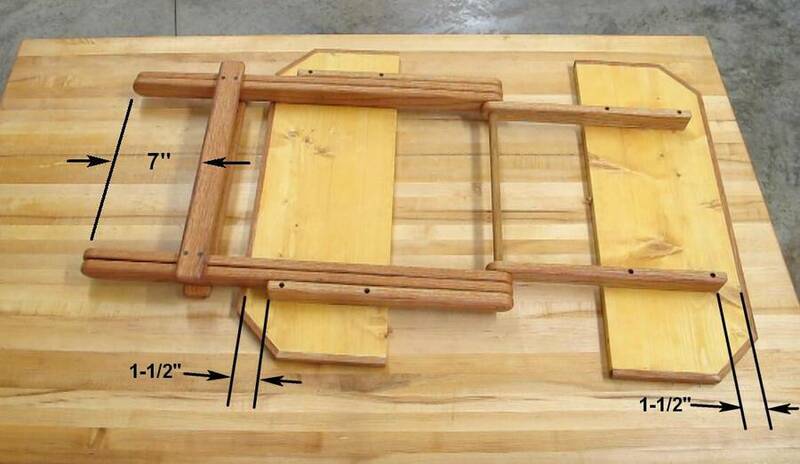 If you want to build this table, please also watch the video.